Regal Pointe Orlando Stadium 20 + IMAX is part of Regal Entertainment Group, the largest theater circuit in the U.S. 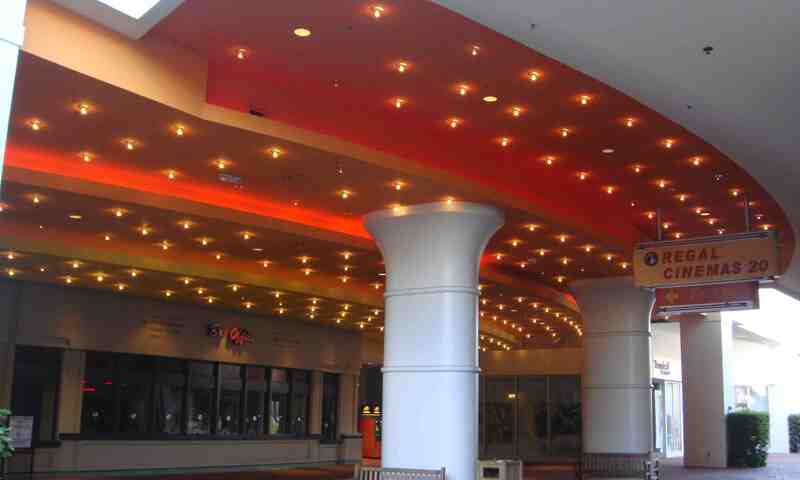 Located at Pointe Orlando on International Drive, the theater shows the latest movies and offers a concession stand with a large menu and numerous beverage options. In addition to popcorn and candy, guests can enjoy the expanded food menu which includes but is not limited to the following: Spicy Chicken Sandwich, Hamburgers, French Fries, Onion Rings, Boneless Chicken Wings, Mozzarella Sticks, and Jalapeño Poppers, as well as alcoholic and nonalcoholic beverages. Tickets can be purchased at the main entrance in the theater lobby on the second floor. Tickets can also be purchased in advance online, and ticket kiosks are located in the theater lobby. Frequent moviegoers can join the Royal Crown Club for free and ear credits on purchases of soft drinks, popcorn, movies and more. More information can be found on Regal's website. Parking is available in the Pointe Orlando parking garage. Parking tickets will be validated for guests who park in the Pointe Orlando parking garage. Regal Pointe Orlando Stadium 20 + IMAX is located on the second floor of Pointe Orlando, near Adobe Gila's.